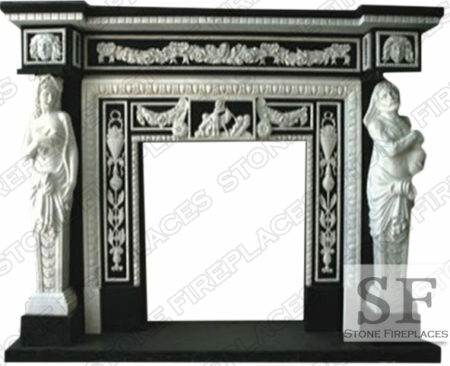 Beautiful marble imported from Italy. 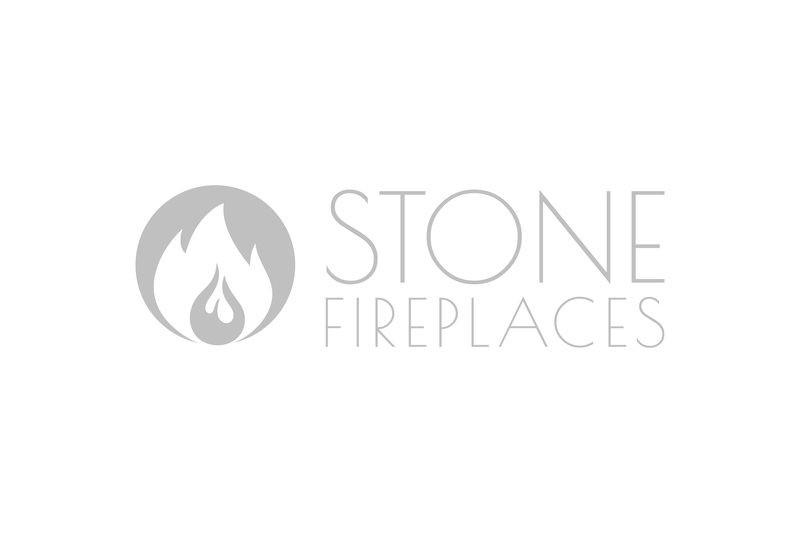 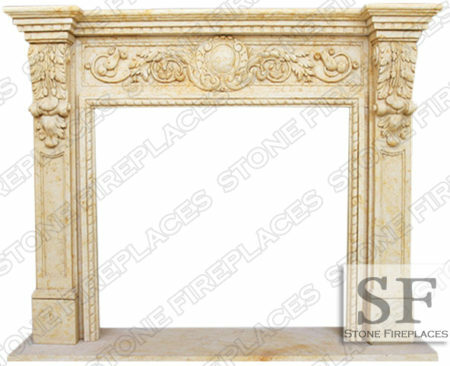 Italian stone is some of the most desired all over the world. 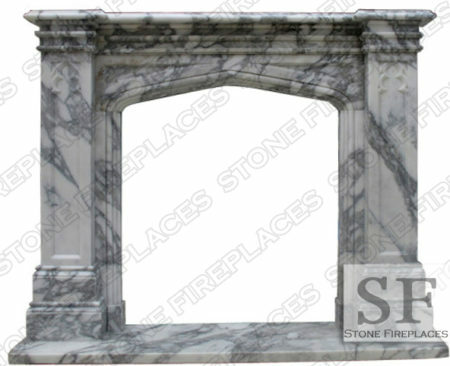 Italy offers the most unique stones and Italian Arabescato marble is just one example of that. 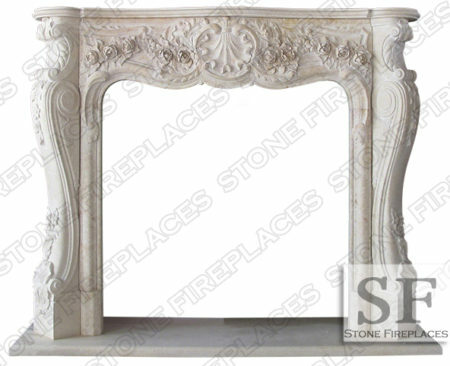 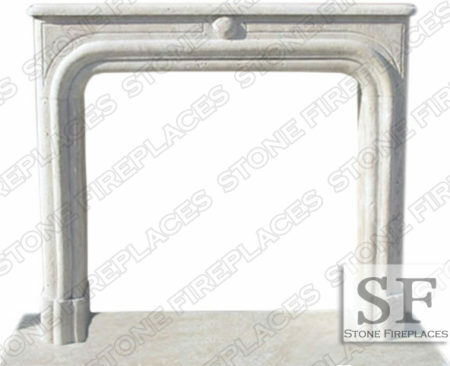 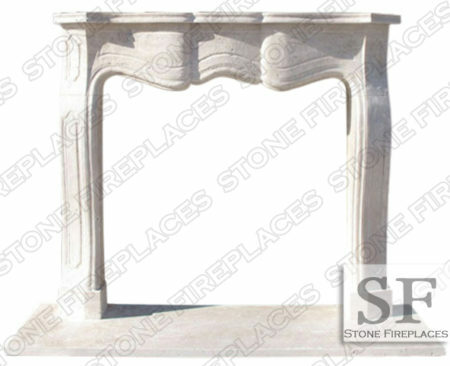 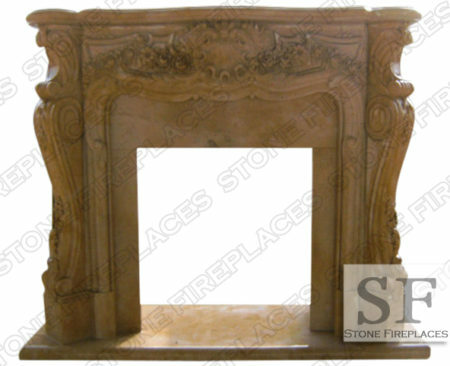 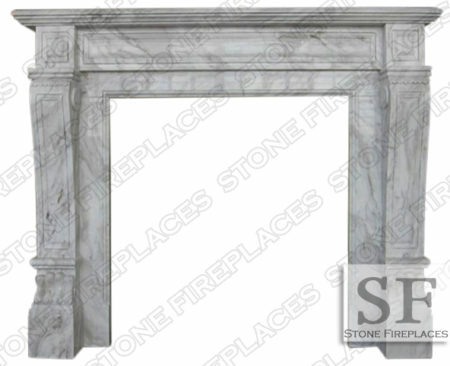 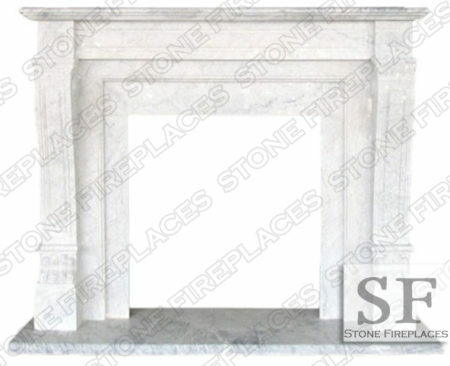 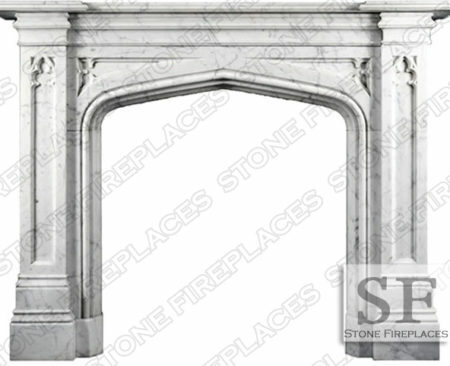 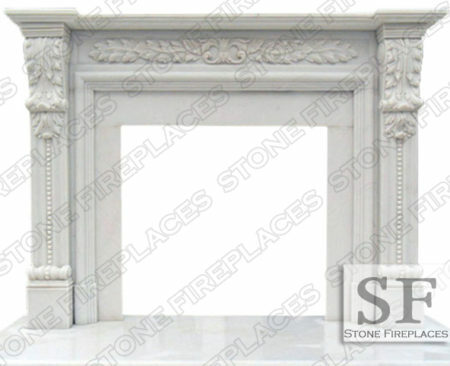 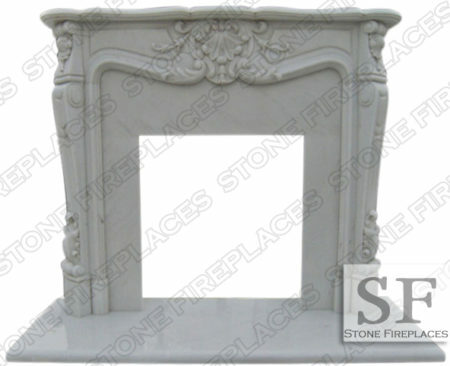 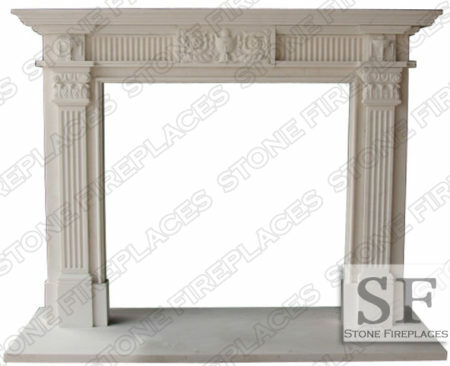 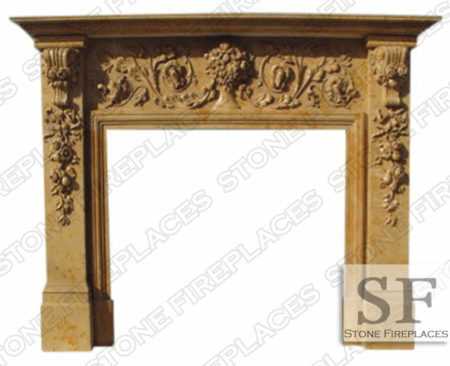 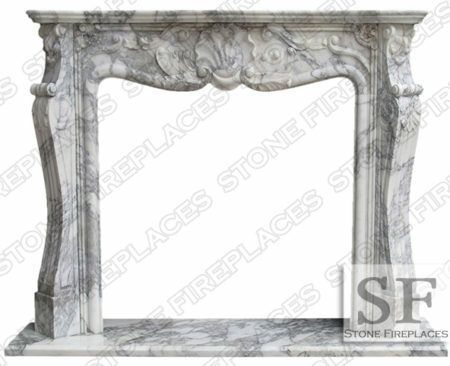 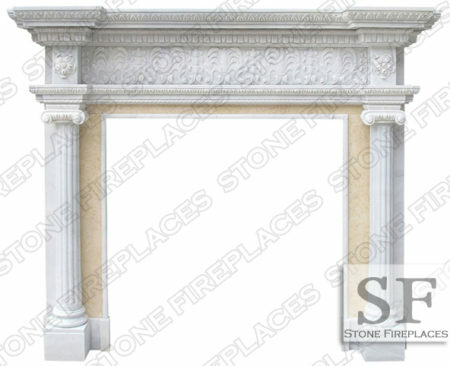 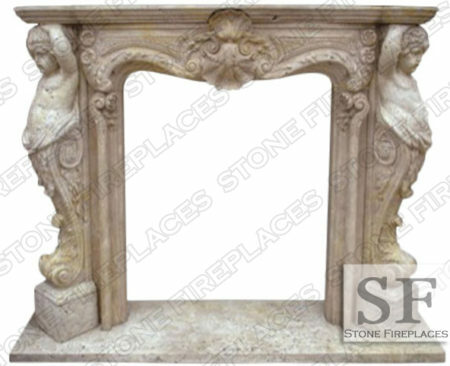 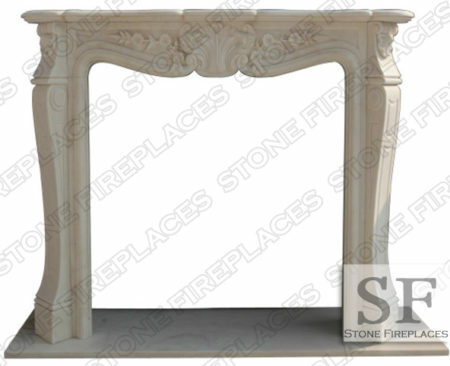 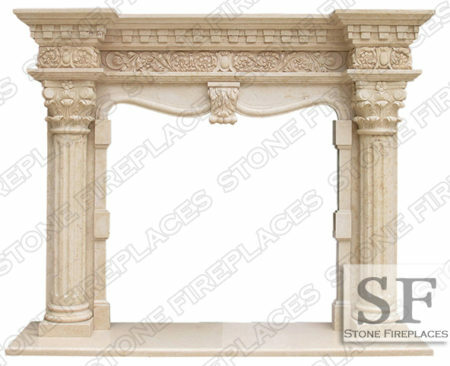 This Arabescato marble, with strikingly bold veining, is hand carved into a classic style column fireplace. 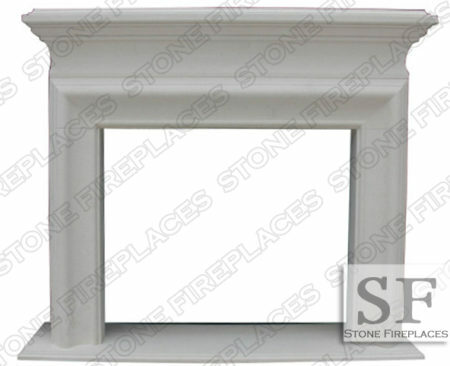 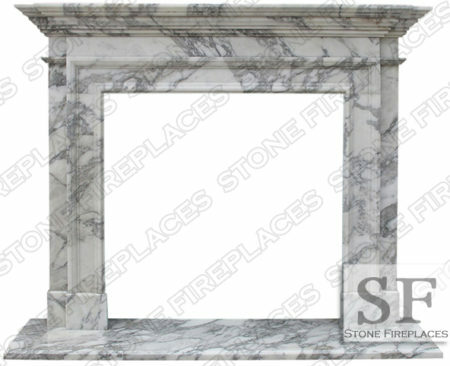 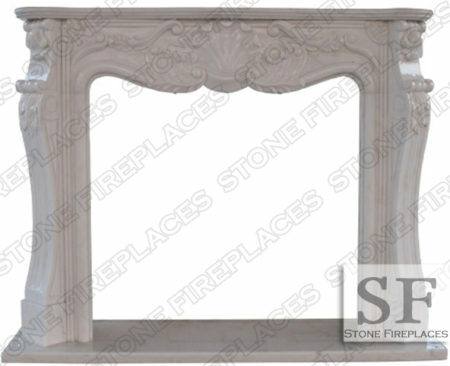 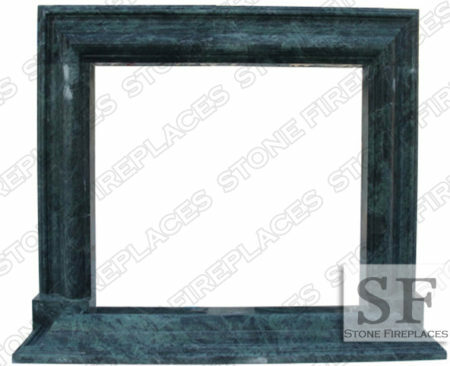 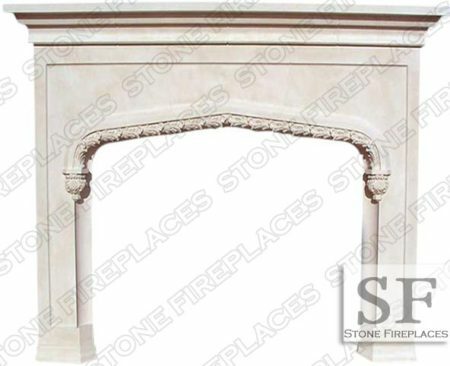 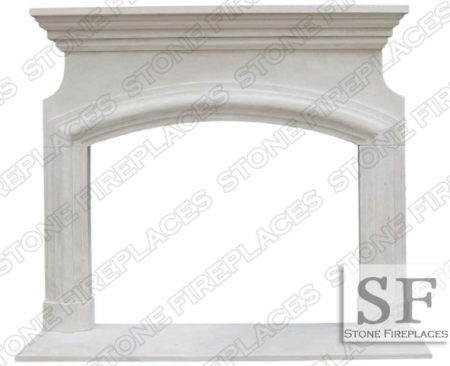 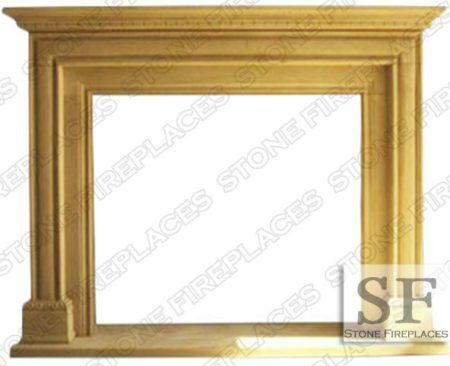 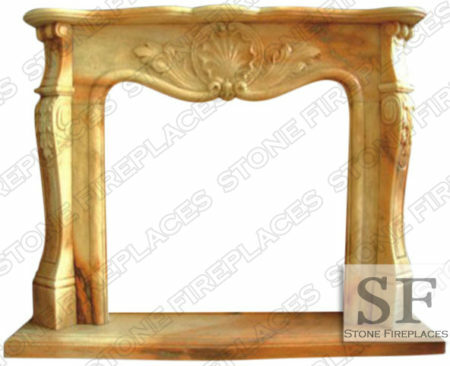 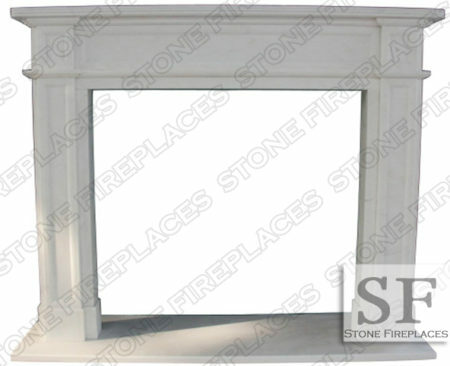 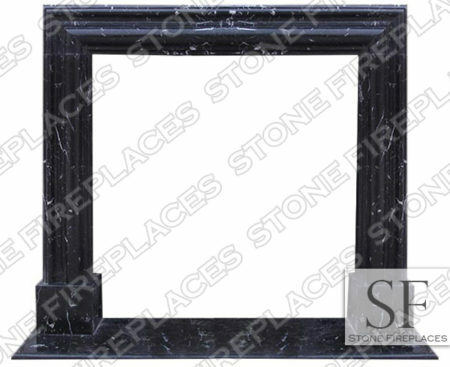 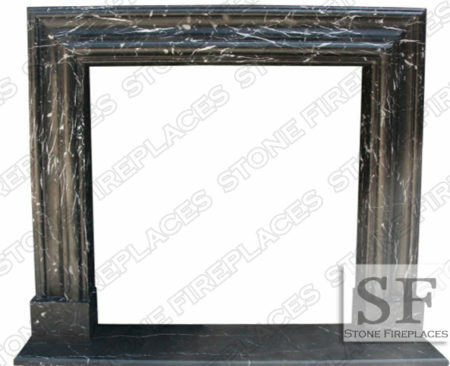 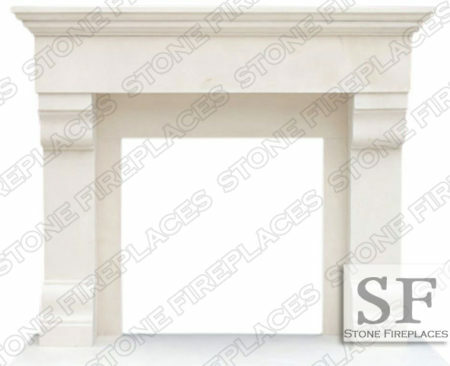 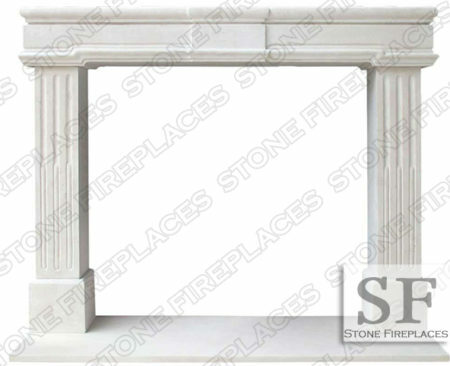 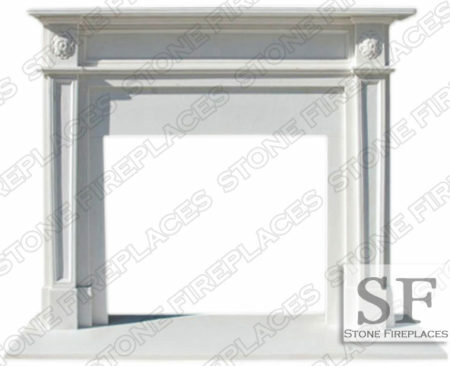 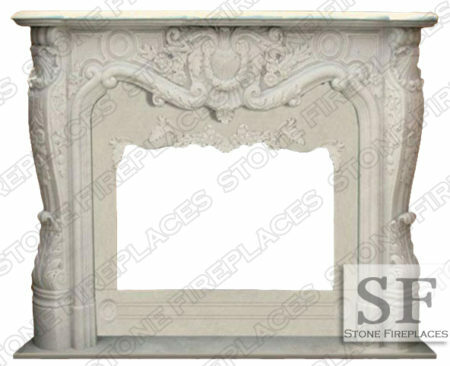 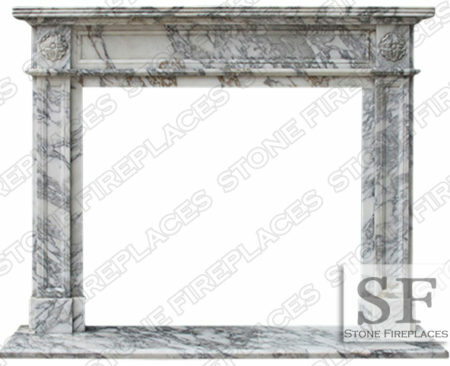 This Marble mantel is polished giving it a more formal feel. 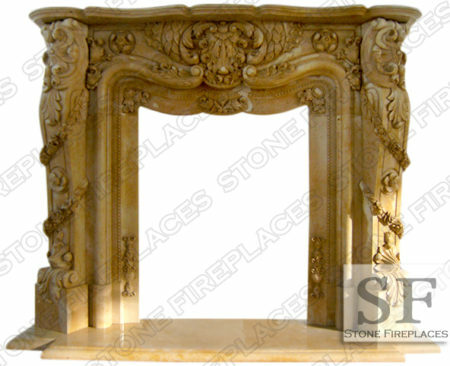 It is easy to design a room around such a striking piece. 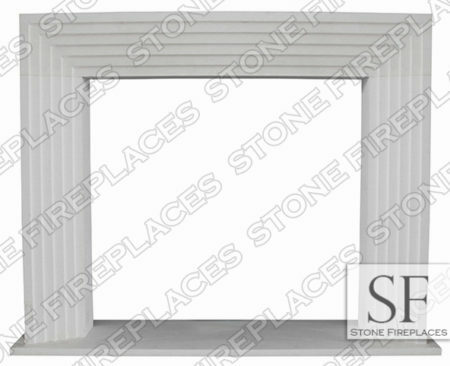 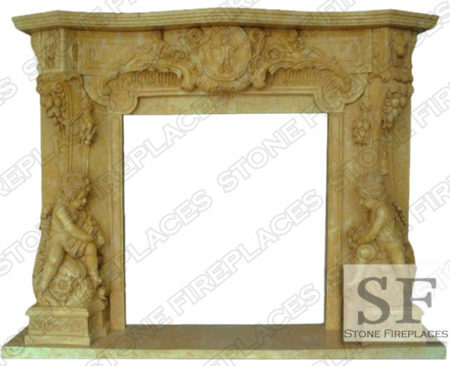 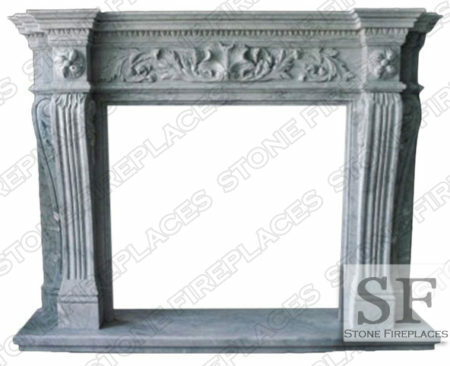 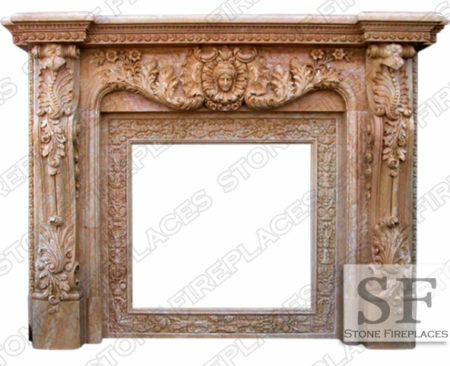 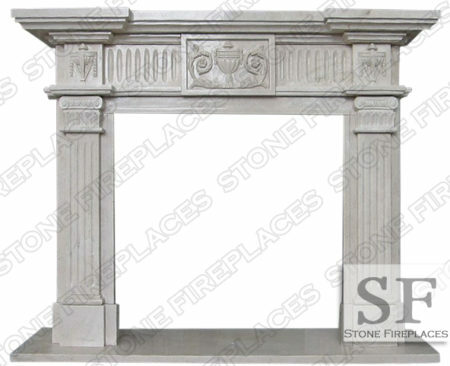 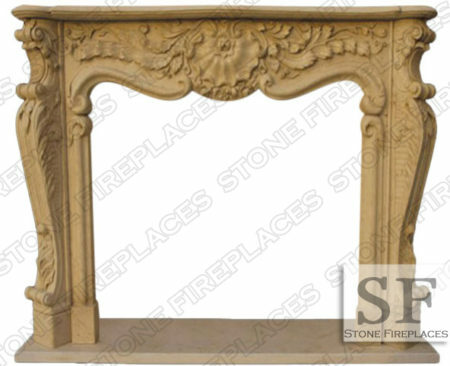 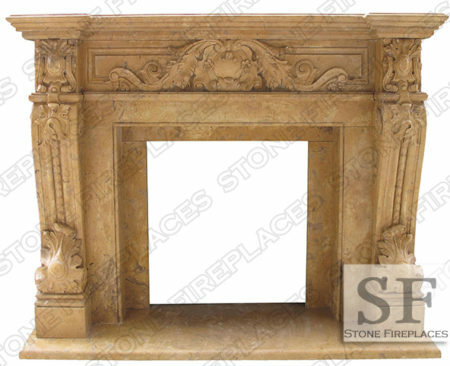 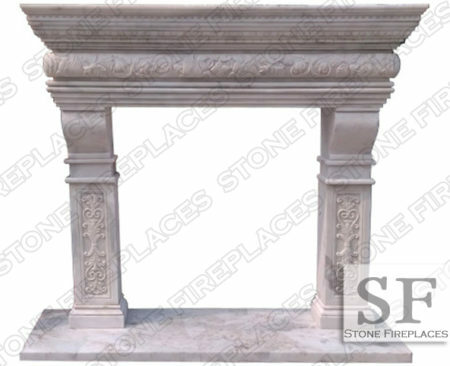 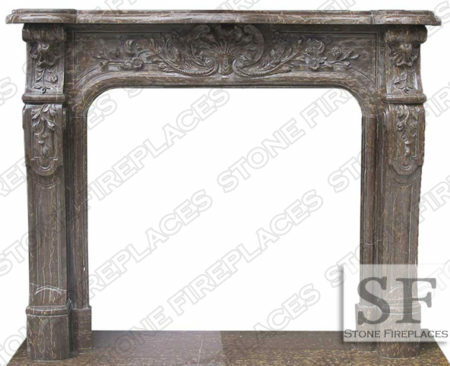 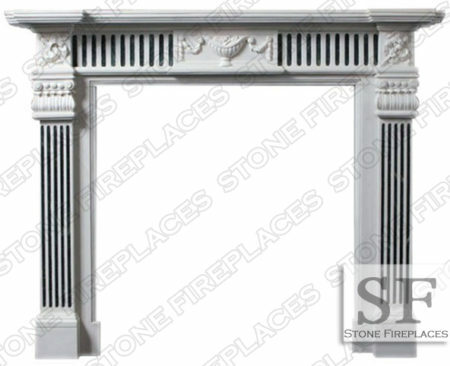 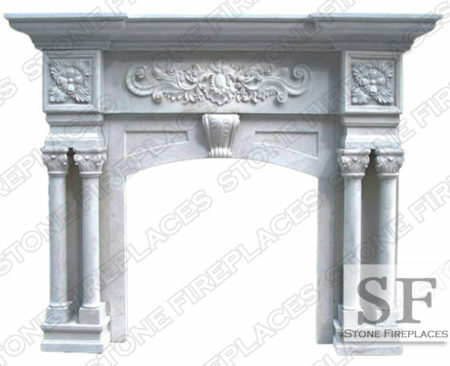 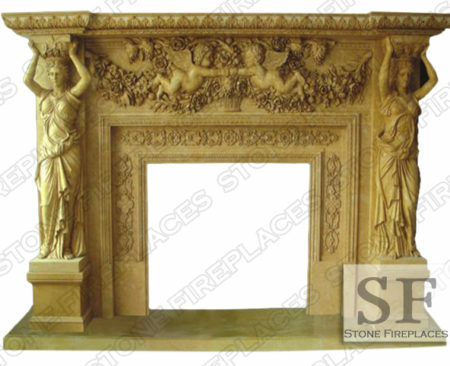 Decorative carvings are carved into the column cap with straight lines running a frame in the mantel-shelf. 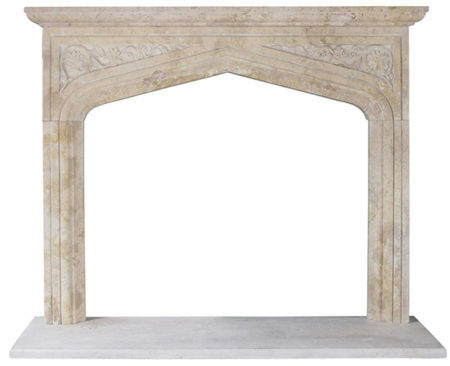 Barrington Arabescato is often available to ship in 1-3+ weeks. 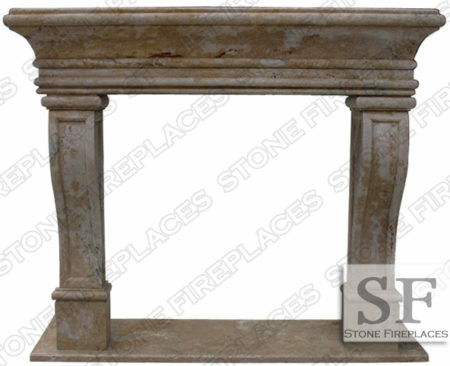 Perfect for formal setting like a living room or library but can also be designed around to fit a relaxing space. 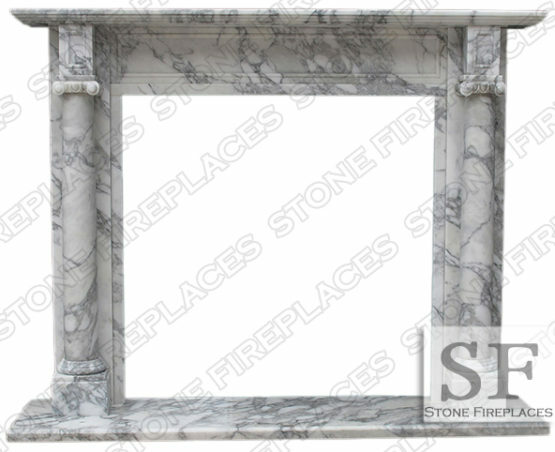 This will be the perfect focal point of any living space. 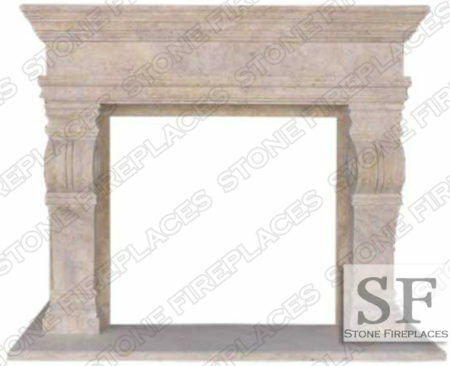 Great idea to use this model in a hotel or commercial foyer due to is strikingly stately design.